Okay, so I've fallen behind in preparing for my Open House on Saturday, due to back problems. Today is the first time since I went to bed last Saturday morning, that I've been able to stamp!!! Yes, that is a madness in and of itself. But today I want to share the Mosaic Madness stamp set (available in wood-mount or in clear-mount), and some coordinating product. Once you start using the Mosaic Madness stamp set, you will understand why it was named that. Not only is there a coordinating Mosaic Punch (which you can purchase at 15% OFF in a bundle with the stamp set, either wood-mount bundle or clear-mount bundle), there is also a coordinating Modern Mosaic Embossing Folder, and a coordinating package of Quatrefancy Specialty Designer Series Paper (which I didn't even use on this card)! In addition, the Itty Bitty Shapes Punch Pack is perfect for adding special mini details that can really dress up a simple card. 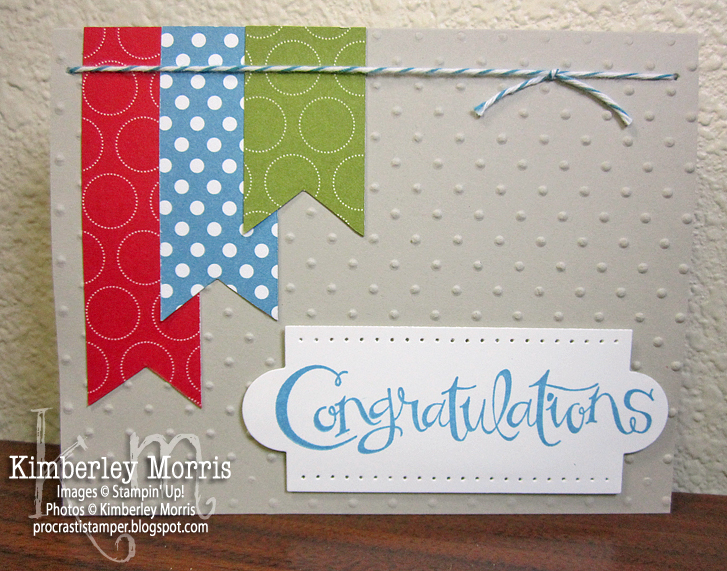 Mix in a color combo from the NEW 2013-2015 In Color Collection, and you are just the trendiest little stamper you can be :-) Since the Mosaic Madness stamp set is all images and no words, you might want to grab a fun sayings set like the one I used: Really Good Greetings (available in wood-mount or in clear-mount). Stampin' Supplies: Mosaic Madness stamp set, Really Good Greetings stamp set, Sahara Sand card stock, Coastal Cabana card stock, Whisper White card stock, Baked Brown Sugar ink pad, Crisp Canteloupe ink pad, Chalk Talk Framelits, Modern Mosaic Embossing Folder, Mosaic Punch, Itty Bitty Punch Pack, Crisp Canteloupe Ruffled Ribbon, Rhinestone Jewels, Mini Glue Dots, Stampin' Dimensionals, Stamp-a-majig. For inspiration, I chose to create a card for entry in this week's CAS(E) this Sketch Challenge, based on the sketch below. Please excuse my absence lately, I've had something happen to my back and it's been very difficult for me to do much of anything at all the past 3-4 days. I've never had back trouble before, so being almost completely debilitated from it so suddenly is very frustrating (and painful!). One thing I did not know about back pain until now, is how miserably it can make your stomach ache. Ugh. For me, this is temporary, and I can't imagine having to deal with this every day--I feel so bad for those of you who do, I'm so sorry! If you would like to see another Paper Pumpkin video, with some dialog and explanation of the kit contents and how to use them, please view my Paper Pumpkin Welcome Kit Video. And if you'd like to learn more about Paper Pumpkin, or subscribe, please click HERE. Remember, when you subscribe to Paper Pumpkin, your first shipped kit will always be the Welcome Kit, and you must sign up by 11:59pm MT on the 10th of any given month to receive a kit that month. So, what we do at Technique Tuesday Class, is get a little card with instructions on it, and we make a little sample of the technique to practice it. That sample goes on the instruction/idea card, which you keep on a ring that I give you, along with a cover card. Each class, we do two techniques, so you get two cards for your ring--and we also make two full-sized cards at each class (one using each technique). Last night we did the Faux Chalkboard and Starburst/Sunburst (using sponging method) techniques. 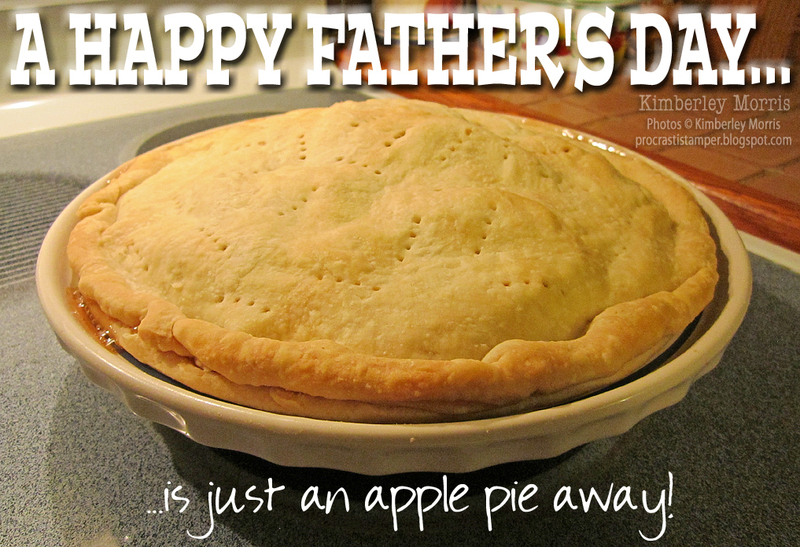 Yep, that's fer realz, I made it from scratch, all by my lonesome...nom nom nom. 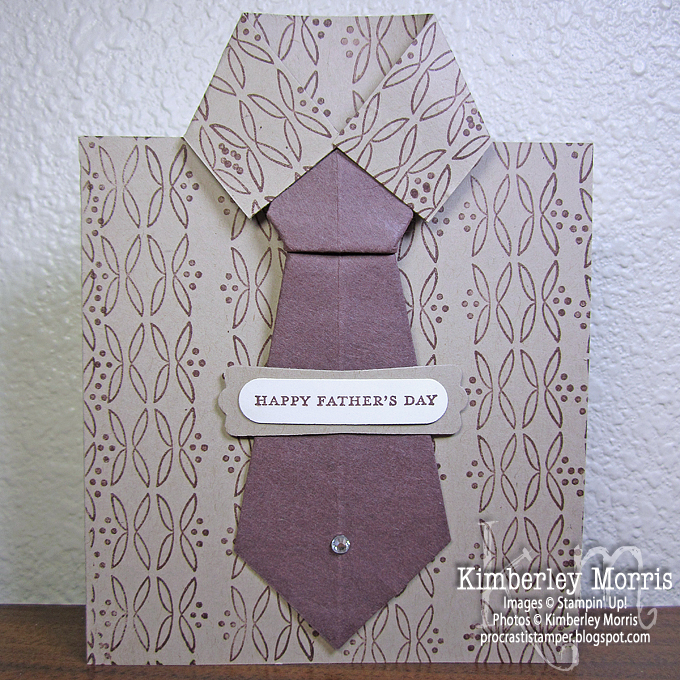 Notice the Washi Tape on the card...that's homemade, and super simple. I'll show you how to do that tomorrow. And the greeting on the card comes from the Sassy Salutations stamp set, which just happens to be on sale for 25% OFF this month (get Sassy Salutations Wood-Mount, or Sassy Salutations Clear-Mount). Stampin' Supplies: Sassy Salutations stamp set, Quatrefancy Specialty Designer Series Paper, Crumb Cake cardstock, Whisper White cardstock, Pool Party cardstock, Bermuda Bay cardstock & ink pad, Strawberry Slush ink pad, Rhinestone Jewels, Square Lattice Embossing Folder, Stampin' Sponge, Tombow Multi Glue, Stampin' Dimensionals. In the video, I referenced a .gif I followed for the origami folding. The instructions are in Japanese, but all you really need are the pictures, anyway. You can find that file HERE. UPDATE: several readers using AOL and/or Internet Explorer have indicated that they cannot view the above link to the .gif for the origami instruction sheet. If you have any problems, please try Firefox--and let me know if that still does not work for you. Just a quick tip for you! Do you struggle with making multiples of cards, and keeping track where you've sent those cards?? I do, and that is one reason I tend to avoid making multiples of my hand stamped cards. Yes, that's more work for me, but I love to create, so it's all good :-) But when I'm using My Digital Studio (get an Instant Download or order the Disc Software) to make cards, it's usually for the express purpose of creating multiples of the same card(s). So, when I received my professionally printed cards back from Stampin' Up!, I was *tickled* to see there was an index card for each design I ordered! It shows a small image of the card design, and how many of that design I ordered. So, I folded all my cards over and tucked them in a little plastic tray, with the index card in front of each section of its respective card design, and tucked the envelopes in the back. Then, when I take out a card to use, I can jot down who I sent/gave it to, right on the index card!!! 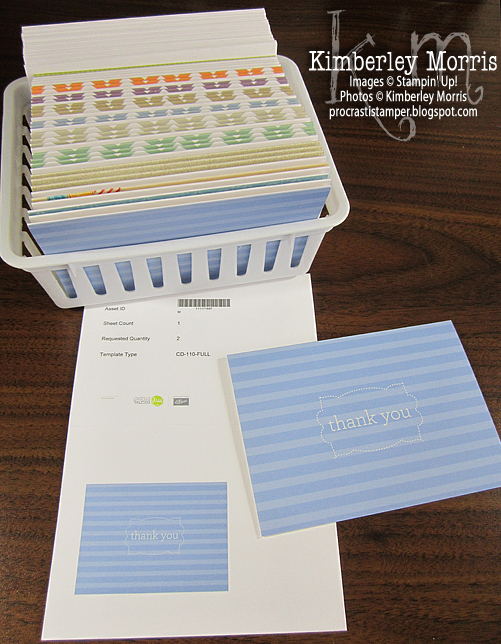 Super easy organization, courtesy of Stampin' Up! 's My Digital Studio Professional Print Services. 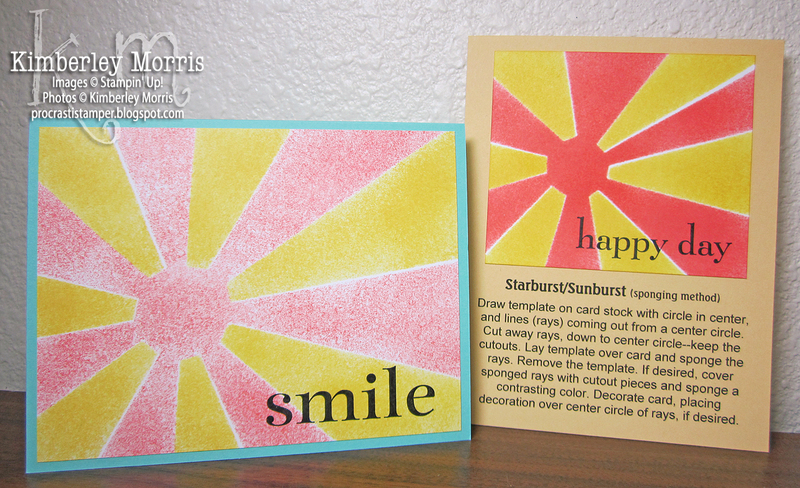 Another tip: the cards pictured are the 3-1/2" x 5" professionally printed cards. This is the smallest size card the US Postal Service will allow you to mail. 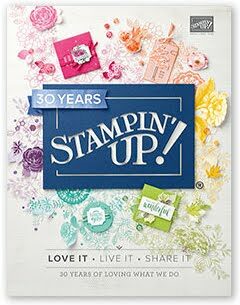 When you order professionally printed cards from Stampin' Up!, they send you an envelope with each card--it's included in the printing price. With the escalating cost of postage, you can save yourself a little money by spending less on your card, which in this case means ordering the smallest mailable size :-) Even when they are not on sale, this size card is priced at only 95 cents each...but you can grab them for only 71 cents each, through June 15th! FYI: click to see the My Digital Studio 25% Off Sale HERE, which ends June 15th at 11:50pm MT. Select digital downloads are on sale, as well as select Professional Print Products. Click for a PDF which shows the Professional Print Product Discounts HERE. just like to browse the Paper Pumpkin web site to read more about the program. When you choose me as your Paper Pumpkin demonstrator, you get Fun Bonuses, like: a link to a Free Printable Insert to label a Clear-Mount Stamp Case for Paper Pumpkin stamp storage, qualify for Coronation Gifts and Glass Slipper Surprise Gifts, earn Paper Pumpkin Royalty (Loyalty) Rewards, get Plump Your Pumpkin Exclusive Offers, and get links to Monthly Videos--one to walk through the kit project assembly (like this one), and a second one with instructions for alternate layouts/projects using the kit supplies, and even some of the packaging! *Log in at MyPaperPumpkin.com to make changes prior to each monthly deadline. Also, if you would like to purchase ONLY the unique JUNE Paper Pumpkin Kit directly from me, the deadline for me to receive your finalized payment is JUNE 10th by 10:00pm MT. 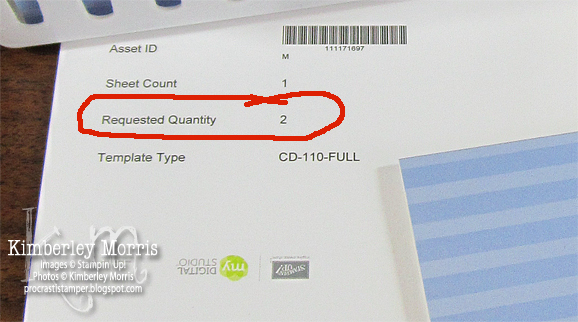 The cost is $24.95, which covers the cost of the kit, plus turn-around Priority Mail shipping to your address. This option is designed for my new Paper Pumpkin subscribers who would like to get the Welcome Kit AND a unique kit their first month! However, anyone is welcome to take advantage of this opportunity to get the unique monthly kit without subscribing. If you don't get/have the Welcome Kit, or the Try It Kit, you will need to get Clear Mount Block D or its equivalent, to use the clear-mount stamps in your Paper Pumpkin kit. 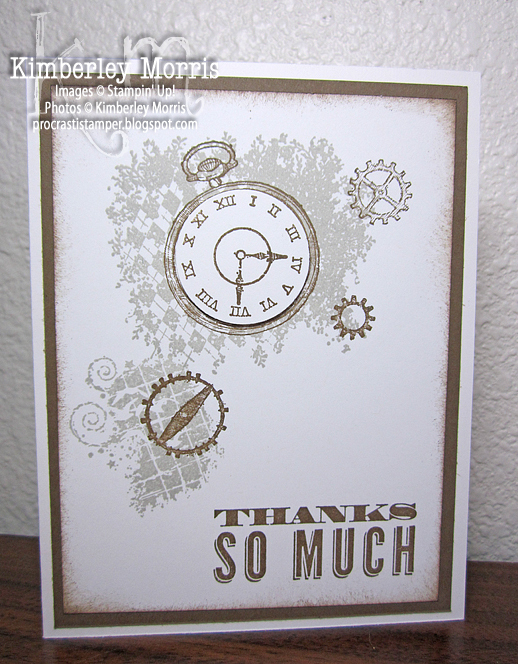 A very "Warehouse 13" Clockworks Card...in my opinion, at least! 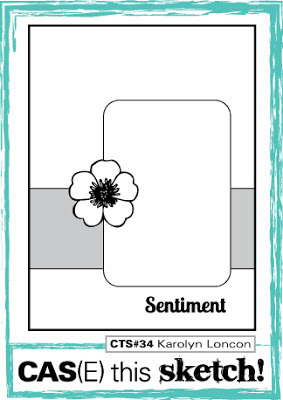 FYI: This design was inspired by a card I saw on Stampin' Connection, which is a password protected site hosted by Stampin' Up!, which includes a huge gallery/archive of samples, which is ONLY for demonstrators! It's just one of the many perks you can enjoy when you Become a Demonstrator. You can choose "Thank You" as an alternate greeting on this one. There are several sayings you can choose to substitute on this card. 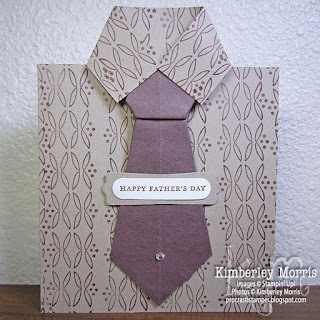 You may add "Happy Father's Day", or another greeting to this card. 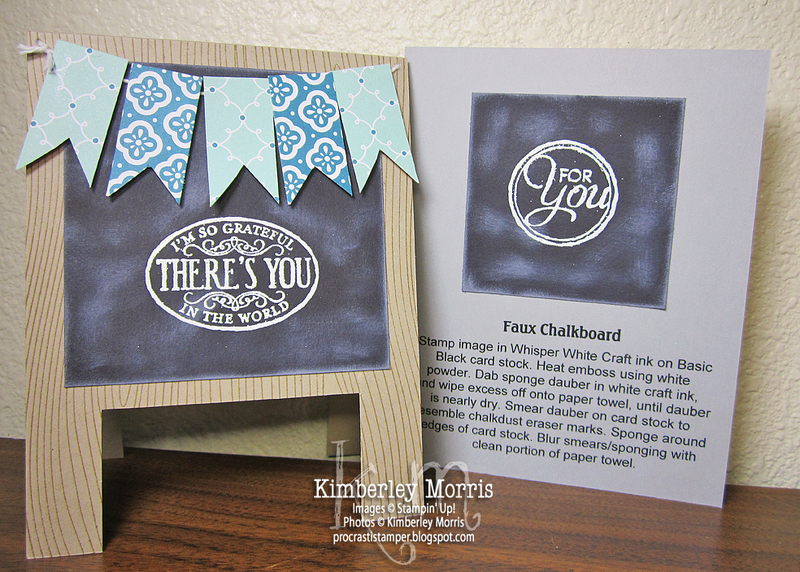 Check out the 4th and final design for my 8 Great Cards Class for June 2013, HERE. 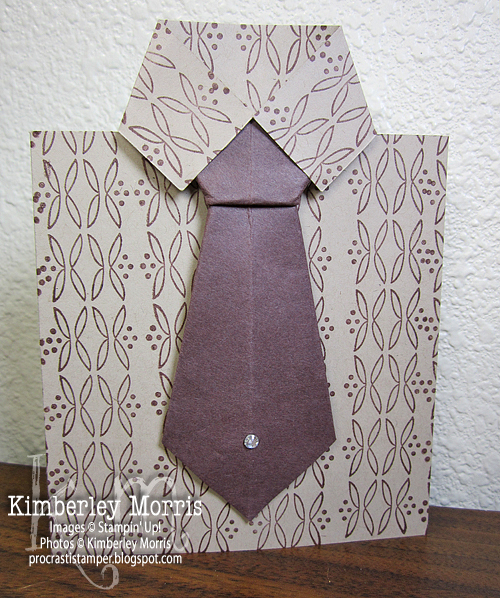 Watch the VIDEO TUTORIAL for the SHIRT & TIE CARD HERE.